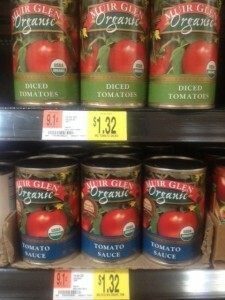 Muir Glen Tomato Products as low as $0.46! A new $0.50/1 Muri Glen coupon came out today. Take it to Walmart to score the following deals! Note that prices may vary slightly at your Walmart. Thanks, I Heart the Mart for deals and photo!